Jāsön Natural personal care products for kids and adults – including soap, shampoo & conditioner, toothpaste, mouthwash and more – are exclusively made with natural, vegetarian ingredients and sold in biodegradable packaging. All of the healthy, fragrant botanical ingredients are grown organically and HPLC/infrared tested for purity at Jāsön’s own California facility. Since 1959, Jason Natural Products have been the leading purveyor of pure and natural products for skin, body, hair and oral health for the whole family, giving consumers effective, environmentally-friendly alternatives to mass-produced, synthetic chemical products. 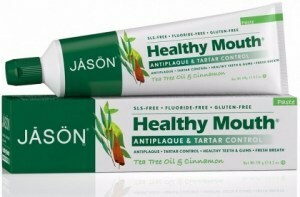 Jason Products unique formulations are infused with botanicals, plants, roots, herbs, proteins, vitamins and minerals, all from the earth. Fortunately for us, nature has provided an abundance of plants, roots, flowers and herbs rich in vitamins, enzymes, proteins, minerals and other biologically active compounds that have been used in the care of the body, skin and hair for centuries. Knowledge of the healing power of herbs and their special effects on the skin are used in the formulation of every product. Jason Products are committed to creating distinctive, pampering products that delight the senses, soothe the soul, respect the planet and animals, and promote health and well being in our daily lives.